One of my earliest memories is watching Grandma sew beads on Uncle Elmer’s deerskin leggings. Listen to my grandmother and you’ll hear stories about me in diapers moving to the heartbeat of the drum. Talk to me and I’ll tell you about my husband recalling how unfamiliar he felt when he first met me and found himself the only non-Indian person among American Indians. Fusing an understanding of Native American people won’t happen with a few social outings, but it’s a good start in a series of small steps. The difference between appreciating or exploiting a culture — and avoiding cultural appropriation has to do with how we watch and listen. Observe quietly and be respectful. Be a well-behaved guest and use your best company manners. Let the changes take place inside of you slowly. Here are 10 places to discover modern-day Indian life, and to observe tribal descendants echoing and giving expression to cultural traditions. The National Museum of the American Indian is the first national museum in the United States dedicated solely to Native American heritage. It highlights over 12,000 years of history across more than 1,200 indigenous tribes and cultures, and features one of the world’s most expansive collections of American Indian arts, artifacts, and photographic and media archives. Permanent exhibitions delve into native religions and ceremonies, as well as native communities’ contemporary struggles for identity. Address: The National Museum of the American Indian is located on the National Mall between the Smithsonian’s National Air & Space Museum and the US Capitol Building. Hours of operation: 10 AM – 5:30 PM; closed December 25th. The museum’s Mitsitam Native Foods Cafe provides visitors with the opportunity to enjoy the indigenous cuisines of the Americas and to explore the history of Native foods. Hours of operation: The Mitsitam Cafe is open daily 11 AM – 3 PM; closed December 25th. Taos Pueblo is home to the Tiwa-speaking tribe and is set against a backdrop of the Sangre de Cristo Mountains. Today, nearly 150 people call Taos Pueblo home, and visitors can take guided tours and learn about the village’s culture, history, people, and ancient pueblo life. Taos Pueblo has been inhabited by members of the Taos tribe for more than 1,000 years. Admission Price: Adults $16 per person. Children 10 and under are free. Hours: The Pueblo is generally open to visitors daily from 8 AM to 4:30 PM, except when tribal rituals require closing the Pueblo. Located in the foothills of Oklahoma’s Ozark Mountains, the Cherokee Heritage Center is dedicated to preserving the culture and artifacts of the Cherokee Nation. Take a walking tour through Diligwa, a living history exhibit that depicts a 1710 Cherokee village and allows visitors to experience craft-making demonstrations, storytelling, and recreated daily life in the early 18th century. Visit the center’s representation of a late 19th-century rural Cherokee village, Adams Corner. Experience the Trail of Tears exhibit, which delves into the forced removal of Cherokees from their ancestral lands in the 1830s to what is now present-day Oklahoma. Address: Located six miles south of downtown Tahlequah, OK. Hours of operation: Visit the Cherokee Heritage Museum website for specific summer, winter, and holiday hours. Price: Adults: $8.50, youth (5-18 years of age) $5.00. Children under 5 years of age with paid adult are free. For over 35 years, Red Earth has been recognized as the primary multi-cultural resource in Oklahoma for advancing the understanding and continuation of traditional and contemporary Native culture and art. When does it take place: This is an annual event. Visit the Red Earth website for specific dates, more information and to obtain a visitor’s guide. Arizona is home to 22 tribes, each with its own rich history, culture, language and land base. The Heard Museum works with American Indian tribes to reposition the Heard away from the traditional museum role as a professional observer of “the other”, and is dedicated to preserving the cultures and heritage of Native American Tribes in the Southwestern United States. Note: Hours and pricing are subject to change. Pre-pay Admission tickets are valid for 1-year from their purchase/transaction date. Seeing American Indian life through the lens of Native filmmakers is one of the best ways to understand the modern Native experience. Visit the American Indian Film Festival website for more information. The Navajo Nation is the largest Indian reservation in the United States, spanning 16 million acres throughout Arizona, New Mexico, and Utah, with over 250,000 residents. The annual Navajo Nation Fair takes place annually in September. Guests can observe powwows, tribal dances, and select ceremonies held for healing and religious, not entertainment, purposes. Guests will be asked to refrain from taking photographs or to quietly leave during certain parts of a ceremony. This weeklong celebration is an opportunity to learn about the Navajo people and culture. 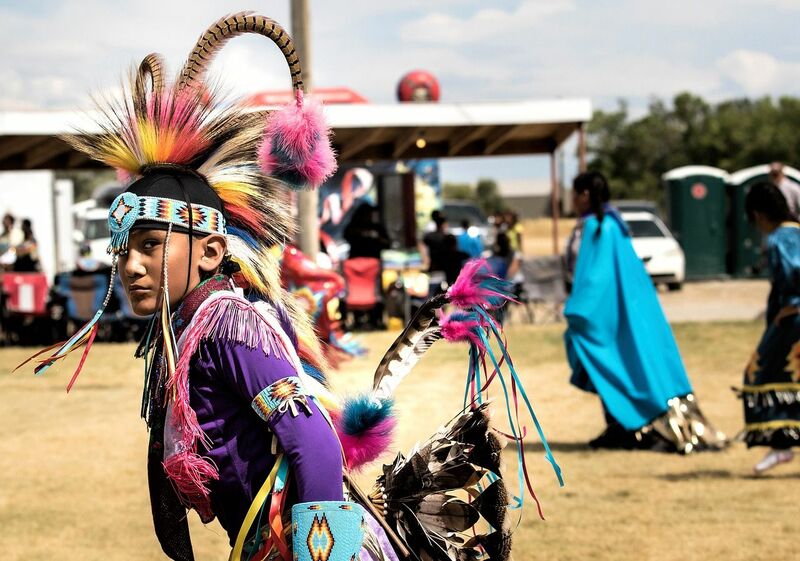 Every third week of August, Crow Agency (60 miles south of Billings off I-90) becomes the Tepee Capital of the World when it hosts Crow Fair, the largest modern-day American Indian encampment in the nation, and the largest gathering of the year for the Apsaalooke Nation. The Gathering of Nations is the largest powwow in North America and attracts thousands of indigenous people representing hundreds of tribes. The multi-day event’s festivities celebrate and promote Native American cultural heritage. Highlights include traditional song, dance, and drumming competitions, which feature over 3,000 performers representing more than 500 North American tribes. Attendees can also buy Native art from more than 800 Native American artisans and traditional Native foods. 10. Attend a Powwow in your local area. While it’s great fun and highly informative to attend the Gathering of Nations powwow or Crow Fair, not everyone has access to travel. Any powwow held in your community that you feel drawn to is the right place to begin. Surround yourself with Native families as they exchange news, ideas, song and dance, and reflect on traditions. If you have never attended a powwow, or have a desire to understand more, check out Children of the Powwow. If money or opportunity does not permit you to travel to destinations offering exposure to observe and experience Native American ethnicity and culture, then travel from your armchair. Here are Native published websites that offer information and articles presented from a Native American point of view. Indian Country Today is dedicated to serving the Nations and celebrating Native American people and offers a wide variety of news and resources. Project 562 is offered as a solution to historical inaccuracies, stereotypical representations and silenced Native American Voices in massive-media in an effort to humanize the otherwise “vanishing race” and share the stories that Native Americans would like to be told. Established in 2006, American Indians in Children’s Literature (AICL) provides critical perspectives and analysis of indigenous peoples in children’s and young adult books, the school curriculum, popular culture, and society. Scroll down for links to book reviews, Native media, and more. Oyate is a Native organization working to see that Native lives and histories are portrayed with honesty and integrity.